This week, I have the pleasure of interviewing Tracey from Tracey Knits. This is how we got on! "About 6 years ago my best friend told me she was pregnant. I decided at that moment that I had to give her a handmade gidt as a present. I was already a painter and photographer, but I what I wanted to make was a blanket that the baby and his mother would treasure forever. I learned how to knit just to make that blanket for that baby." "So far the hardest thing for me to learn has been patience. Any project that takes more than a week or two to complete is a true test. I have completed 2 sweaters and a few blankets, but they have all been done with little interruptions just so I can feel like I have finished something." "I would have said in the past that I am a sock knitter, but I am not sure that is true any longer. I really love designing new golf club coves, which I sell the patterns for in my shop." Which knitted item that you made, are you most proud of? "I am most proud of an entrelac blanket that now sits on the couch in my living room. It was a gift I made for my grandmother a few months before she died. It was her favourite colour, grey, and she would use it all the time. I still call it grandma's blanky to my children." We hear you have a shop, tell us about it! "Yes, I do! 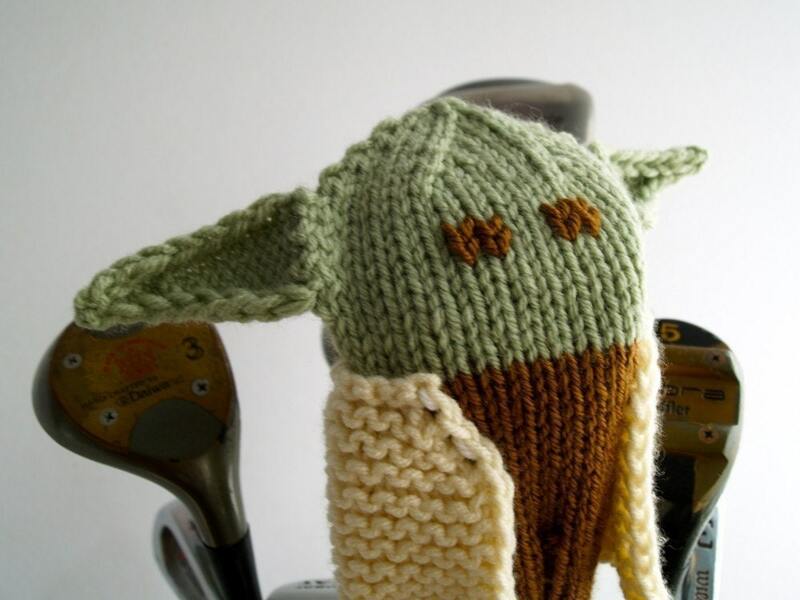 Tracey Knits sells my hand-knit golf club covers and sports themed items, as well as the patterns to make them yourself. 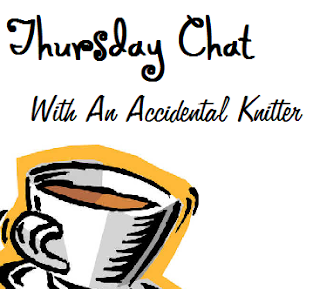 I have been making and selling my knitting online since the summer of 2009 with some unbelievable success. I even had the honour of being featured in an article on CNBC's website! I started selling the patterns for my items recently so that other knitters could enjoy making my items as much as I do." Which is your favourite item that you stock? "My favourite item I have designed has got be Yoda. He has gotten RAVE reviews. He is just so cute and green, and those big ears are adorable!" "I started blogging as a way to promote my business. I was 'advised' that it was a great way for customers to get to know you and think of you as a friend when they need something that you offer. While I still blog, the subject matter is very different then when I started. I used to write exclusively about Etsy, and now I often share funny stories about personal experiences and advise as well." What are your blogging goals for 2011? "I want to connect with my readers this year. Figure out what makes them tick and keep them laughing and coming back for more. I think I am well on my way to making that happen." When you're not knitting, how else do you spend your time? "Most of my non-knitting time is spent with my two young children. Boy, do they require a lot of work! I have taught them how to knit, and during this past Christmas rush they were nice enough to try and help me with some of the simpler parts of my projects. At the very least it kept them out of my hair for an hour or two." "I find most of my inspiration from necessity. They saying necessity is the mother of invention should be my motto. That necessity generally comes from my friends and family, so I guess I could point to them as well." A big thank you to Tracey for letting us find out what makes her tick! Don't forget to pop over to her blog and shop, you won't be disappointed! Tune in next week when I'll be interviewing Jasmine from Jasmine's Crafts. Good Interview! Nice to meet you Tracey!